Portions of this text will be read over the entire program. 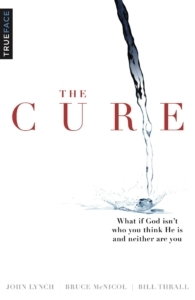 The Cure: What if God isn’t who you think He is, and neither are you? We thought we were cured. We thought so, but most of us unwittingly carried an old, dead outlook into our new life. We couldn’t measure up to a standard we created, so we convinced ourselves it was God’s. We read his words through our grid of shame and felt ourselves fall farther and farther behind. We took it out on each other, judging, comparing, faking, splintering. Some of us retreated from the whole charade, becoming cynical, mistrusting, jaded from hope. Our marriages, churches, families, friendships, our marketplaces, our culture… they all need the cure. But God’s cures rarely come in the form we expect. What if, indeed, God is not who we think he is… and neither are we? Everyone’s talking about community, Everyone seems to want it, most complain if they don’t find it, but it’s harder to pull off than you’d think. As we said in The Tangible Kingdom, God’s ways are natural, but they aren’t easy – especially at first. New ways of life must be formed in us through hours, days, and years of intentional practice. Sure, we all know we need this thing called “community” and we even have an inkling telling us that our friends need it too. Yet, a Grand Canyon-sized gap exists between our hopes and our realities. That’s where this primer comes in. The Primer is about building life-long habits, with two primary purposes: first as a formation tool to prepare your heart for mission, and second as a field guide for starting mission together. 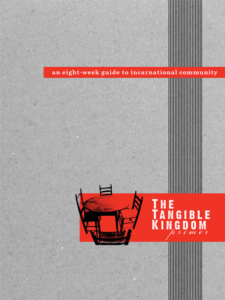 So whether you’re a pastor hoping to reinvigorate your church, a planter needing to get your people on the same page, a small group leader wanting to push your friends into mission, or a regular guy (or gal) looking to start something new–get started with this Eight-Week guide to Incarnational Community. Christians today are on a rescue mission. Each of us is called to get involved in God’s plan to make disciples. 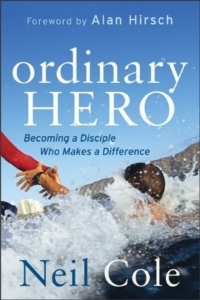 A former California lifeguard, Neil Cole weaves together his personal experiences of saving lives with biblical principles for how to make and multiply disciples. 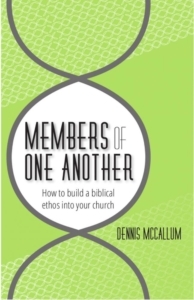 Cole shows how to create Life Transformation Groups that can help a Christian grow in a safe and transparent relationship with one or two other spiritual pilgrims. Full of heroic and even humorous stories, Ordinary Hero captures readers’ imaginations and hearts and doesn’t let go until they want to make a difference and know how to go about doing it. In Strengths Based Leadership, #1 New York Times bestselling author Tom Rath and renowned leadership consultant Barry Conchie reveal the results of continued Gallup research into the topic of leadership. 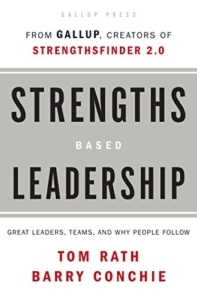 Based on their discoveries, the book identifies three keys to being a more effective leader: knowing your strengths and investing in others’ strengths, getting people with the right strengths on your team, and understanding and meeting the four basic needs of those who look to you for leadership. How safe is your marriage? The answer may surprise you. The biggest threat to any marriage isn’t infidelity or miscommunication. The greatest enemy is ordinary. Ordinary marriages lose hope. Ordinary marriages lack vision. Ordinary marriages give in to compromise. Ordinary is the belief that this is as good as it will ever get. 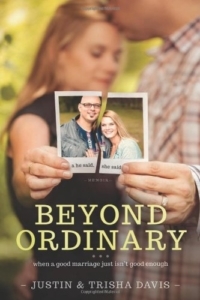 And when we begin to settle for ordinary, it’s easy to move from “I do” to “I’m done.” Justin and Trisha Davis know just how dangerous ordinary can be. In this beautifully written book, Justin and Trisha take us inside the slow fade that occurred in their own marriage, each telling the story from their own perspective. 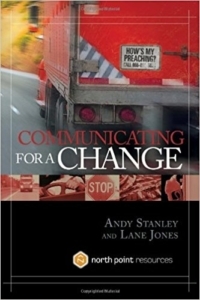 Together, they reveal the mistakes they made, the work they avoided, the thoughts and feelings that led to an affair and near divorce, and finally, the heart-change that had to occur in both of them before they could experience the hope, healing, and restoration of a truly extraordinary marriage. We give ourselves to him, he takes us. We bring an empty hand, he fills it. We are the capacity, he is the supply. We are the temple, he occupies it. We are the channel, he flows through it. You can also download a free pdf of the book from the C&MA, here. 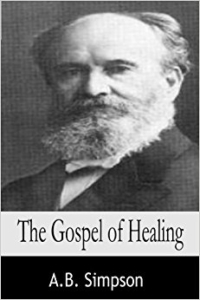 In The Gospel of Healing Simpson affirms that health and divine life flow from Christ not from man. This Twenty-first Century Classic originally appeared in A.B. Simpson’s magazine, The Word, The Work and The World, between the years 1883 to 1885. Simpson had this book printed in 1888 and it was the first of his more than 100 books. 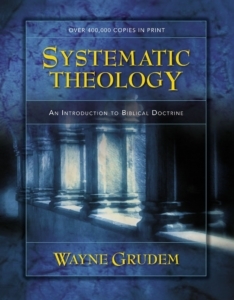 Simpson wrote, “The importance of this subject and the emphatic way in which God’s Spirit is pressing it into the attention of His people demand for it the most careful and thorough scriptural study”. 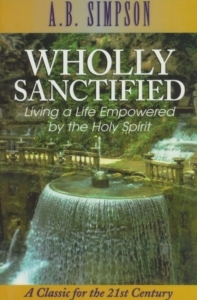 Simpson’s healing message remained consistent, balanced and biblically grounded throughout his entire ministry. You can also download a pdf of the book from the C&MA, here. Dare to face an uncompromising look at the real need in modern western Christianity; something far more important than methods, structures, or gimmicks–ethos. Once you build a biblical ethos into your group they will handle any obstacle and continue to thrive. Readers will think through some of the most perplexing issues facing local churches today: How to build high commitment into your group, How to resolve the contradictions between modern time demands and close body life, How to understand biblical teaching on church discipline in a today’s world, How to stop the bleeding from western churches losing student-aged members to the world, and instead make student ministry the strongest part of your church, How each of 7 key New Testament metaphors for the church contributes its own unique insight into church health, How the dozens of “one-another” passages in the New Testament require a radical view of church life, quite at odds with many modern assumption.s The Lord will encourage you that New Testament church is possible, and He’ll give you biblical and practical ideas for building a biblical ethos into your church.